Bracken (also known as Pteridium aquilinum) is a native British fern. Its normally found in woodland and heathland rather than domestic gardens but can easily spread from infected adjacent countryside. It is known to be tolerant of a wide range of soils and climates. Bracken is typically fern-like, producing triangular fronds, divided into three, that can reach over 1.5m (5ft) in height. In autumn the fronds turn reddish-brown and die back to ground level, with new fronds unfurling from the base in spring. Why is bracken a problem? Bracken has thick, fleshy, brown-black underground stems that can travel long distances, often spreading into gardens from adjacent countryside. Sections of these fleshy underground stems can be introduced to the garden hidden among the roots of plants acquired from infested gardens, or in home made compost or leaf mould. In cool, woodland gardens, bracken may germinate from spores carried in on the wind. 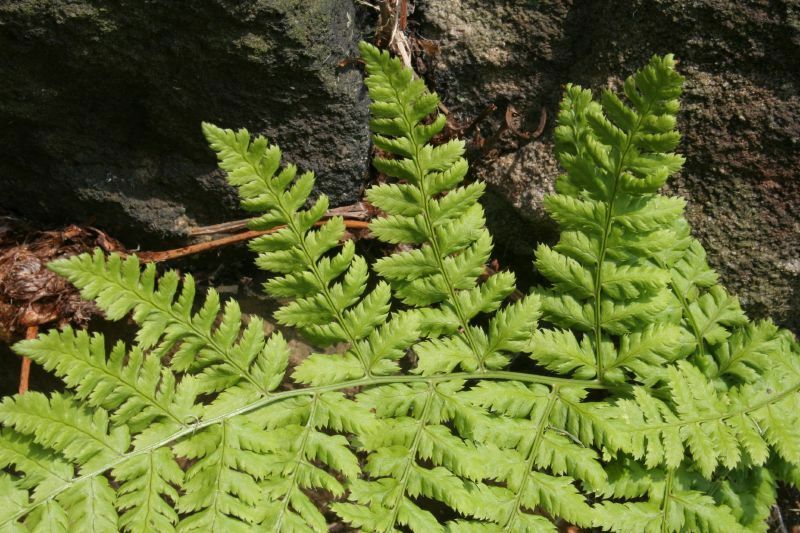 Bracken can out-compete desirable garden plants and invade bare soil, becoming a weed that is difficult to eradicate. Bracken should not be eaten, either by humans or livestock, since it contains carcinogens linked with oesophageal and stomach cancer. Eating the young fronds, considered a delicacy in Japan and parts of North America, is not recommended. The encroachment of bracken into grazing land reduces the area of useful farmland year by year since livestock cannot be allowed to eat it. People who have spent all their lives living amongst bracken and breathing in the spores may be at higher risk of getting some cancers, but the danger to the general population and to casual visitors in bracken-infested areas is negligible. People gathering bracken for composting or eradication purposes are advised not to do so in late summer when the spores are released, particularly in dry weather.